Enlarge / A view of the Falcon Heavy rocket on Monday, from one-quarter of a mile away. 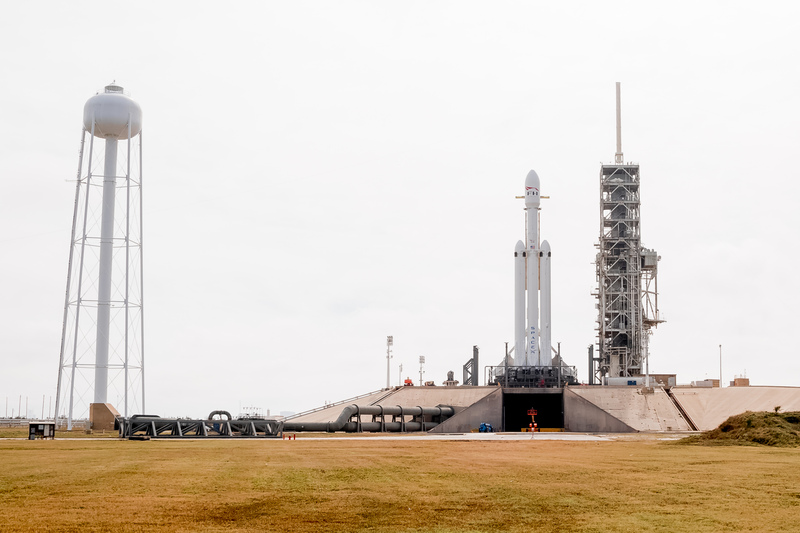 In a memorandum released Monday night, the US Department of Defense Office of the Inspector General informed Air Force leadership that it will evaluate the military’s certification of SpaceX’s Falcon Heavy for national security missions. The memorandum does not explain why the inspector general believes such an evaluation is necessary. Signed by Deputy Inspector General Michael Roark, the memorandum only states that the evaluation will take place at the Space and Missile Systems Center, which is headquartered at Los Angeles Air Force Base in El Segundo, California. This is just a few miles from SpaceX’s headquarters in neighboring Hawthorne. Traditionally, the government has required more than one flight to certify a rocket for national security missions, but SpaceX and the Air Force agreed on a separate certification process for the Falcon Heavy because at present there is only one US rocket capable of hitting all of the government’s desired orbits. (That rocket is the Delta IV Heavy booster, built by United Launch Alliance. It has a spotless record, but it costs as much as three times the Falcon Heavy.) SpaceX has at least two other missions on its Falcon Heavy manifest before the AFSPC-52 launch, so the certification could have been conditional based on the success of those flights. The announcement of this evaluation comes just a week after California politicians complained to the Air Force about the handling of its procurement strategy for the next generation of rockets to launch government missions. Space News reported that Sen. Dianne Feinstein (D-Calif.) and Rep. Ken Calvert (R-Calif.) wrote to Air Force Secretary Heather Wilson, arguing that the manner in which the Air Force chose future launch providers created an unfair playing field. Although SpaceX was not mentioned in the letter, the lawmakers suggested the company got a bad deal because, unlike its major competitors, it did not receive Air Force funding when a new round of “Launch Service Agreements” were awarded in October 2018. The lawmakers requested an independent investigation of the award decision. As part of that deal, United Launch Alliance, Northrup Grumman, and Blue Origin received more than $2.2 billion for the development of their next-generation rockets. SpaceX did not receive an award, likely because the Air Force already had a booster from the company that could meet all of its reference orbits—the Falcon Heavy.